The United States is in the process of developing a new foreign policy to meet the changing political, economic, and technological situations throughout the world. This book is a history of the making of a new foreign policy after World War II and analyzes how a bipartisan policy was achieved and lasted until the end of the Cold War in 1991. 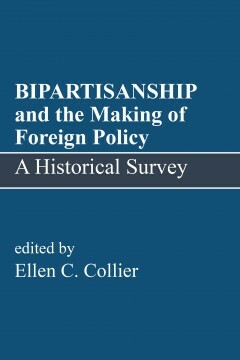 By reprinting her out-of-print book published by Westview Press in 1991, author Ellen Collier makes available a handbook on building a bipartisan foreign policy. Ellen Clodfelter Collier was a specialist in U.S. Foreign Policy in the Congressional Research Service of the Library of Congress from 1949 until 1995. She wrote or edited numerous studies on foreign policy and war powers that were published by the Senate Foreign Relations and House International Relations Committees, and Bipartisanship and the Making of Foreign Policy, a Historical Overview published by Westview Press in 1991. She received a B.A. from Ohio State University, an M.A. from American University, and graduated from the National War College. Mrs. Collier lives in Silver Spring, Maryland. 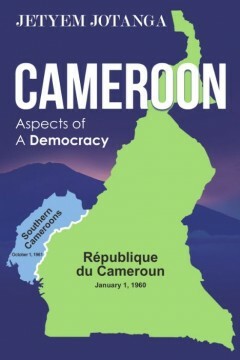 This book is made up of short notes on aspects of the political life of Cameroon. Arranged in the alphabetical (rather than in the chronological) order, the events discussed here, bring to the fore many of the happenings which have culminated in the war that is ravaging the country today. Added to these is also an addendum of other pieces of writings about the ongoing political crisis in the country which started not very long after the so-called reunification of La République du Cameroun and the former British Southern Cameroons. The author was born and raised in what was then called the Southern Cameroons. After studying abroad, he returned to Cameroon and worked in the private sector for several years before relocating to the United States of America, where he now teaches economics as an adjunct professor. He is the author (or translator) of several books, including one on the problems of economic development. Brendan looks back at our History pointing out the good and the bad. He recognizes that we can’t change the past but are responsible for our future through our actions and inaction’s. He believes that God provides everything we need. It’s up to us to do our part to make America great. Brendan Kelly is a Christian, veteran who is a member of the VFW, American Legion, and Oath Keepers. He has been married for 56 years and he and his wife Helga have four children and six grandchildren. They live in Seabrook, NH, where Brendan served two terms as a Selectman 2007-2013 and ran for Congress in the NH 1st Dist. in 2012 as a Libertarian and 2014 as a Republican. By Nelson A. Paguyo, M.D. -JACOB CLEVELAND, LULU PUBLISHING, INC.
Is a historical review of the U.S. healthcare system from post-World War II to the present. 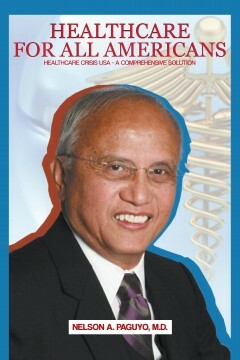 NELSON A. PAGUYO, M.D., is a doctor of forty-two years of experience prior to his retirement in 2005, of which, he spent seven years in residency and fellowship training; two years with NIH research; twenty years in solo medical practice, and thirteen years as a member of a staff-model HMO. many respects. The consequences of racism in America are intended, with respect to the ‘other’, despite plausible condescending arguments to the contrary. This work started as a thesis and morphed into a short novel. The following edition will be a novel in earnest, and give a clear view of the origin, psychology, and perpetuation of racism in American. CHARLES L. ANDERSON was born in Tampa, Florida in 1954. Born into poverty, he was raised by two God fearing, loving, hardworking, disciplining parents. Although, racism was understood, it wasn’t realized until entering an integrated junior high school in the late sixties. Charles enlisted into the United States Coast Guard after high school in 1973, and was trained as a Small Boat Captain for search and rescue at O.C.S. Academy, Yorktown, Virginia. After military he relocated to Miami, Florida and attended Miami Dade Community College. Charles quickly becomes a member of the college’s Computer Science Association for Business Data Processing in 1979. While there at college he developed passion for history and African studies. Psychological conflict and drugs crippled him and prison became the escape where his passions intensified. Charles became an autodidact in existentialism by studying such authors as Camus, Sartre, Beauvoir, Fromm and history by Bertram Russel, Sertima: to name a few. The concept of “The Other” became his primary focus and prompted examination of the hidden sins of Americanism. Our current political system puts too much power into the hands of the few and often produces results that don’t work. 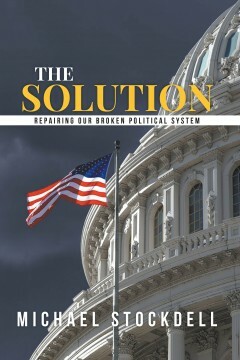 The Solution proposes a plan that restricts the size and scope of the federal government while increasing the direct influence of the people. The goal is to make government simpler with full public accountability. The book is divided into four sections. Two sections describe the various reasons why big government programs don’t work and refute the reasons often cited for why they should. Parts three and four propose my notion of a fix to the political system: first, a number of constitutional amendments aimed at making government function similar to what the founders intended and yet are more modern and, second, policy recommendations that repair and replace nonfunctional programs and deal with a number of existing political and social issues. MR. STOCKDELL was born in Richmond VA and graduated from the University of Virginia with a B.A. in English. While he was there he wrote a large number of poems and short stories and two novels. Over the next thirty years he worked as a systems analyst, data processing manager and management consultant, including three years in the federal government. Mr. Stockdell has an MFA in Fiction Writing and a masters in social work. He began The Solution in 2011 but failed to meet a 2012 deadline. He resumed the book in 2015 and finished it in the spring of 2016. As a nurse I have been in situations where patients learned very bad news about the state of their health, news that was not received well by them, their families, or even their medical team. 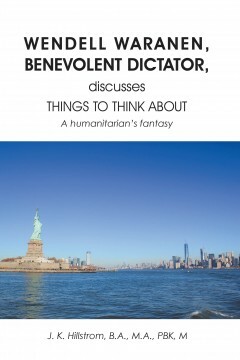 When preparing this book, my feelings were much the same as when I was in those situations. The bad news about the health of our nation is, like cancer in a patient’s body, communism (also known as “Marxism”) has grown in the United States. Like cancer, it started with an unnoticed seed and grew insidiously with little sign or symptom. Now like cancer, communism is on the brink of overwhelming us. Because I know that knowledge of their cancer is essential to my patient’s first step towards survival, I believe that knowledge of our communism is essential to the United States of America’s first step towards survival. 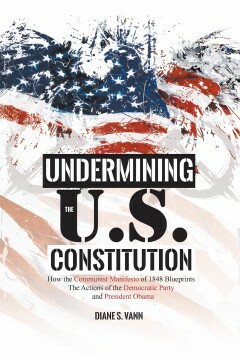 So within this book, I describe how I learned about the symptoms (The Real Communist Threat Witnessed), the disease (the Introduction and Sections 1, 2, 3 and 4 of the Communist Manifesto), the current signs and symptoms (President Obama’s Communist Agenda), and the treatment and cure (Constitution versus Communist Manifesto: The War within America). 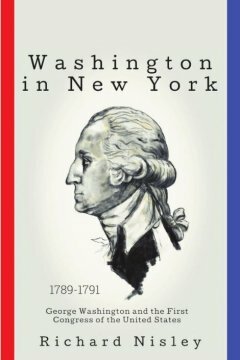 Washington in New York. The nation’s capital is in New York City, George Washington is president, and the competing policies of Alexander Hamilton and James Madison are threatening to divide the infant republic before it has a chance to prove itself. Washington becomes ill and is near death, and the government comes to a standstill.The plot of a novel? No. It happened as recounted in this book. Richard Nisley has two books to his credit: a novel about F-1 motor racing entitled The Ragged Edge, and If Hemingway Had Written A Racing Novel, an anthology of stories by various authors that he edited.He has written articles for Car and Driver, Vintage Racecar, Bloomsbury Review, Racecar Engineering, and Investor’s Business Daily.Nisley has lived in Los Angeles and Chicago, and currently resides in Westfield, New Jersey, a suburb of New York City.Nisley put himself through California State University, Northridge and graduated in 1975 with a degree in Journalism.He worked 18 years for the Firestone Tire and Rubber Company, where after a career in retail sales, he managed the company’s consumer affairs department. At a time when our nation is tumbling down the rabbit hole of plutocracy and autocracy, this unusual book is a much-needed cry for sanity and a call for ordinary Americans to rebel against what the author terms “organized lust for money and power by controlling corporations.” Read. Rebel. Organize. Mobilize. Jim Hightower, author, nationally syndicated columnist, radio commentator, public speaker and editor of the progressive populist newsletter The Hightower Lowdown. A lifetime avid reader on finding early on that “most everything is interesting,” J. K. Hillstrom became increasingly concerned on observing this beloved nation’s demonstrably backward path brought about primarily by the relentless decades-long pursuit for money and power by controlling individuals and business entities. Also a published writer, he decided to express his concerns in this book for the citizenry’s consideration while also suggesting sometimes drastic, yet rational corrections for them that developed into a work somewhat comparable to two semi-iconic predecessor fantasies also written in times of national stress and both well-received by the public, Thomas More’s Utopia of 1516 and Edward Bellamy’s Looking Backward in 1887. 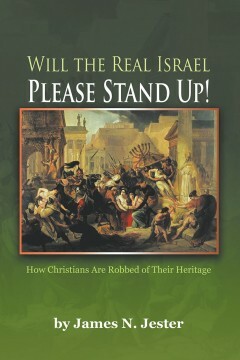 Will the Real Israel Please Stand Up! What can we do about the decline of the Christian west? Like the ancient Israelites in Egypt, Americans are simply slaves driven by the taskmasters to produce more with less. This austerity has global ramifications as well. We are spoken of in economic terms such as “taxpayers” and “human resources” – just soul-less beings to be used for the machine. We are no longer “peoples” defined by a common culture, traditions, or eternal values. The church too is in decline. 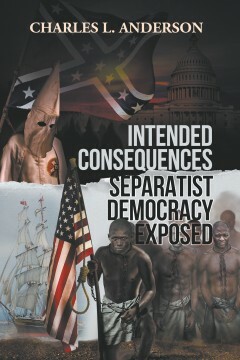 The author exposes some little known history of our ancestors and reveals the path to regain liberty. This book is “the rest of the story” and it should give Christians the basic principles needed to understand who they are, where they are going, and what is going on in the world. A primer into Christian Identity in a blend of history, politics and theology; the author proposes biblical measures that could revolutionize the church and the world. 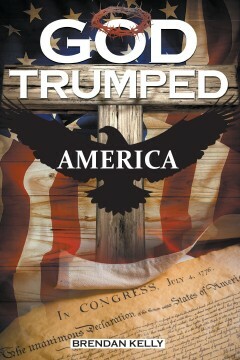 Christians and Patriots will never view the Bible the same after reading this book.